This means that on the sale of your business, if your spouse or partner, or other family member, has been involved in the business either as a co-director or employee, and is eligible, they can also claim entrepreneurs’ tax relief. So how does entrepreneurs’ tax relief work in practice? What exactly is entrepreneurs’ relief? Entrepreneurs’ tax relief is an extremely beneficial part of the government’s tax regime, and reduces your Capital Gains Tax (CGT) liability to a rate of 10% on the disposal of a qualifying business asset. Under ER rules, qualifying gains from a business sale are treated as capital rather than income, so if you meet the eligibility criteria, claiming entrepreneurs’ relief on the sale of your business would result in significant tax savings. Stringent conditions for claiming are in place, however, and there is also a time limit in which claims need to be made. Are you eligible for entrepreneurs’ relief? An individual lifetime limit is in place for qualifying gains - this is currently £10 million. There is no limit on the number of times you can claim entrepreneurs’ tax relief, however, as long as this monetary limit is not exceeded. You can claim entrepreneurs’ relief by writing to HMRC, via self-assessment, or by using the Claim for Entrepreneurs’ Relief form that is available online. If you have a spouse, partner or other family members who are eligible, they must each make a claim in their own right. They must have worked in the business in some capacity, with the eligibility requirements above also applying to them individually, so they would also need to hold at least 5% shares and voting rights for at least a year. The claims deadline is 31st January in the year following the tax year during which your business sale is made. If your business is sold during the current tax year (2018/19), for example, the deadline for claiming ER would be 31st January 2021. If you did not claim entrepreneurs’ relief on the sale of your business, your Capital Gains Tax liability would be 18% if you are a basic rate taxpayer, or 28% if you pay income tax at the higher rate. The fact that your profits from the sale are treated as capital by HMRC, rather than income, offers you huge tax savings. At 10%, the reduced rate of CGT allows you to extract the maximum value from the sale of your enterprise, and benefit from all the hard work you have put into it. If you are not sure whether you are eligible for entrepreneurs’ relief, or would simply like more information on this or any other aspect of selling your business, please contact one of our experts at Selling My Business. 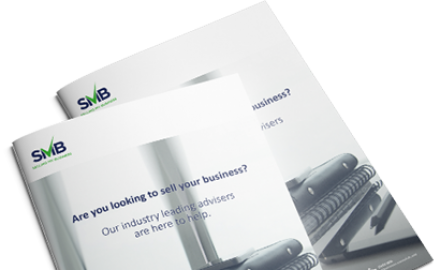 We can provide professional advice on every aspect of selling your business, and ensure that your tax liability is minimised. Previous Article: What is seller financing and how could this help sell your business?